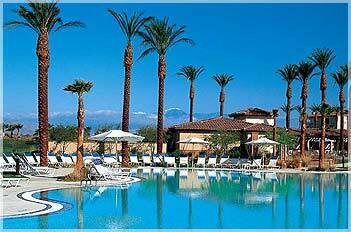 Located in Palm Desert, this resort never compromises on Marriott's tradition of quality. Set amid scenic fairways, lakes, and mountains, you will be amazed by the breathtaking views of Mount San Gorgonio and Mount San Jacinto. Marriott's excellence is reflected in these two-bedroom, two-bath villas. Each comes with a gas fireplace in the living area, a soaking tub in the master suite, and two private balconies. Also enjoy the on-site pools, restaurant, and golf. Your Carefree Journey Awaits!